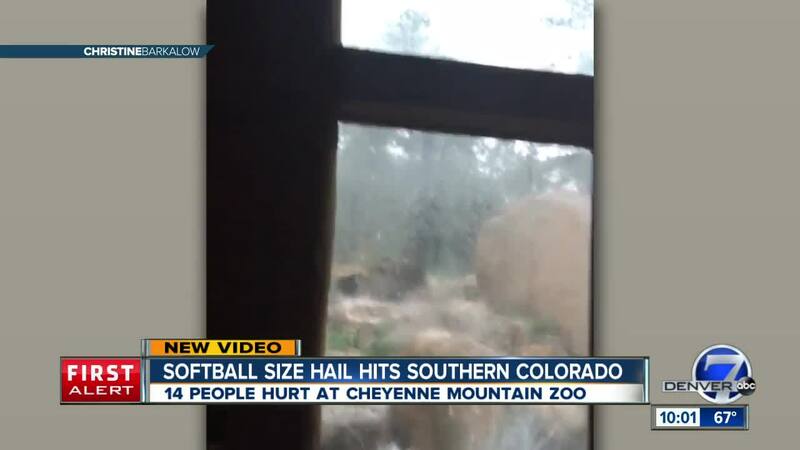 COLORADO SPRINGS, Colo. – The Cheyenne Mountain Zoo is closed Tuesday as crews work to clean up massive amounts of damage left by a hailstorm that dropped baseball-sized stones across El Paso County, injuring 14 people and killing two zoo animals. Crews were going through the zoo’s parking lot and inspecting many of its buildings Tuesday morning. 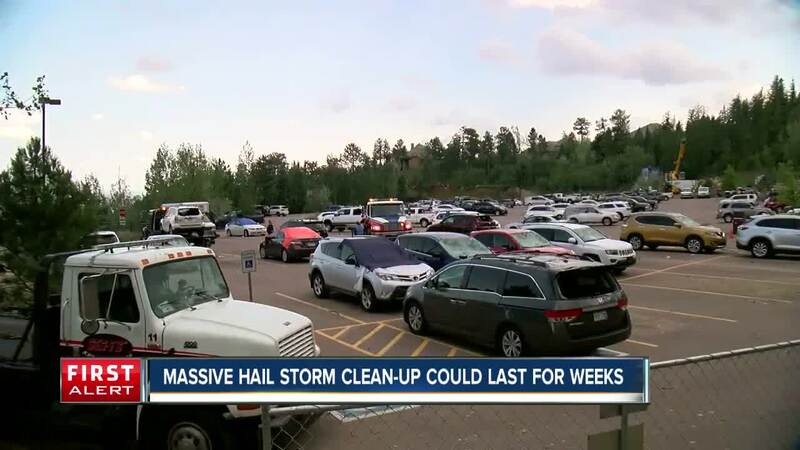 About 300 cars were stranded at the zoo overnight—most because they were undriveable because of severe hail damage. And video shot Tuesday morning from above the zoo shows crews inspecting several broken-out skylights and roofs that were damaged by the hail stones. Nearby homes also suffered severe damage to their roofs. Five people were hospitalized after being injured in the hailstorm at the zoo and nine others were treated at the scene, Colorado Springs Fire said Monday. Two zoo animals – a 4-year-old Muscovy duck named Daisy and a 13-year-old Cape vulture named Motswari – were killed by the hail. Crews on Tuesday were also working to treat animals injured in the storm. At a 1 p.m. news conference , a zoo spokesman said there were more than a dozen that suffered injuries – mostly bumps and welts from the hail. The zoo said that sidewalks were about 75 percent clear as of Tuesday afternoon, but none of the parking lots had been cleared of debris. There were still more than 250 vehicles parked in the visitors and employee parking at the zoo waiting to be towed as of Tuesday afternoon. The zoo said police are guarding the parking lots until they are cleared to be sure people's vehicles aren't broken into. About 3,400 zoo guests were evacuated by bus from the zoo to a nearby high school. The zoo tweeted Tuesday evening that staff members have made progress but it will remain closed Wednesday. There is a chance of storms again Tuesday in the area, where a flash flood watch is in effect until midnight.